1.The handbrake can be fitted in the rear brake line of almost any vehicle. 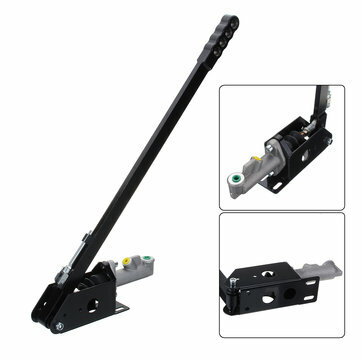 2.High strength heavy duty lever arm is extremely strong, alternative designs do bend over time. 3.Allows the rear tires to be fully locked and makes the vehicle side way. 4.Adjustable pre-load and pin locations: allows different custom height and feeling for most personal applications. 5.Lever is designed for installation in either vertical or horizontal position for customized easy access in drifting.